MINNEAPOLIS/ST. PAUL, MN; JUNE 9, 2011 – Slavery by Another Name, a new 90-minute documentary based on the Pulitzer Prize-winning book by Wall Street Journal senior writer Douglas A. Blackmon, explores the little-known story of the post-Emancipation era and the labor practices and laws that effectively created a new form of slavery in the South that persisted well into the 20th century. The film, produced by tpt National Productions, was officially announced at the PBS Annual Meeting in Orlando, Florida on May 19th and is slated to air in early 2012 on PBS stations nationwide. Slavery by Another Name recounts how in the years following the Civil War, insidious new forms of forced labor or “neoslavery” emerged in the American South, persisting until the onset of World War II. Once convicted, African Americans were leased to coal mines, brick yards, plantations and turpentine farms and forced to work without pay. They were shackled, imprisoned and often tortured. Thousands died. Pollard is no stranger to racially-focused — and enlightening — subject matter. Throughout his 30-year career, he has worked on a diverse array of feature films, documentaries and television projects. He served as documentary producer of Henry Hampton’s Blackside, Inc. production of Eyes on the Prize II: America at the Racial Crosswords, and a producer of the Peabody Award-winning PBS series The Rise and Fall of Jim Crow. In addition to Spike Lee’s feature films, he has worked extensively on the filmmaker’s documentary productions, including his Academy Award-nominated Four Little Girls; Spike Lee Presents Mike Tyson; and Jim Brown All-American. On Slavery by Another Name, Pollard teams with executive producer Catherine Allan, whose films largely focus on American history and include the Peabody Award-winning Liberty! The American Revolution; Alexander Hamilton and Dolley Madison. Major funding for Slavery by Another Name is provided by the National Endowment for the Humanities, W.K. Kellogg Foundation, The Coca-Cola Company and the CPB/PBS Diversity and Innovation Fund. 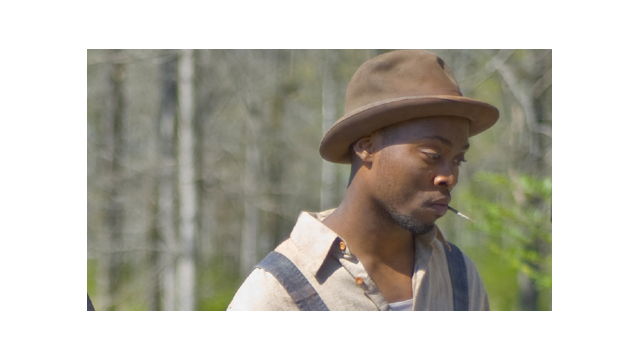 Slavery by Another Name is produced by tpt National Productions, a division of Twin Cities Public Television (tpt), the PBS affiliate for Minneapolis/St. Paul. tpt National Productions is among the primary content producers for the public television system. In addition to crafting award-winning series, documentaries and specials, tpt National Productions amplifies its reach and impact through innovative websites, educational outreach programs and community engagement initiatives. tpt productions include national Primetime Emmy Award winners Benjamin Franklin and The Forgetting: A Portrait of Alzheimer’s; Writer’s Guild Nominees Alexander Hamilton and Dolley Madison; and Peabody winner Depression: Out of the Shadows. CPB is a private, nonprofit corporation created by Congress in 1967 and is steward of the federal government’s investment in public broadcasting. It helps support the operation of nearly 1,300 locally-owned and operated public television and radio stations nationwide, and is the largest single source of funding for research, technology, and program development for public radio, television and related online services. Blackmon is an acclaimed journalist and independent historian, who has written extensively about the American quandary of race – exploring the integration of schools during his childhood in a Mississippi Delta farm town, lost episodes of the Civil Rights movement, and, repeatedly, the dilemma of how a contemporary society should grapple with a troubled past. “Slavery by Another Name” was a New York Times Best Seller in 2008 and was awarded the Pulitzer Prize in General Non-Fiction in 2009. Blackmon, along with a team of other Wall Street Journal writers, was a finalist in 2011 for another Pulitzer Prize, for their investigation into the causes of the BP oil spill last year.